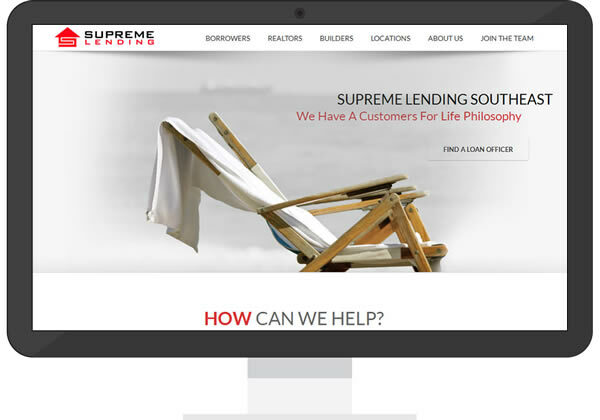 Supreme Lending Southeast Region was born in 2011. Approaching 2013, with 8 branches and over 125 employees, Supreme partnered with Sisson Media to build a new website. The new WordPress based site would be the focal point for all of the branch’s loan officer sales efforts, but it had to be mobile friendly and accessible for regular updates by key employees. By keeping the layout ‘corporate clean’, we were able to add plenty of personality and identity into all of the pages with the use of various shots of high quality photography.